With the new season comes the much expected fall color pallet. Jewel tones, dark browns and deep greys have taken over. This doesn't mean you have to put away your spring florals and summer dresses. If you know me well, you know that I love floral dresses and this year I can't bear to pack them up for fall and winter. 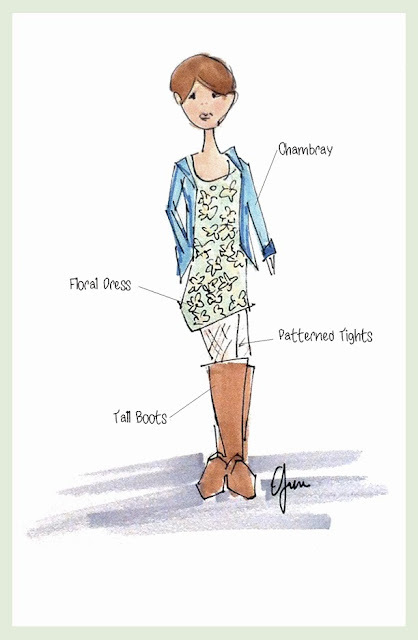 So, today I autumnized one of my spring dresses by adding patterned tights, boots and a chambray. Check out a quick sketch above. These tights would have also been cute.